Incredibly, Obama continues to boldly go where no other president has gone before. Apparently, none of the rules apply to him. Without consequence, at will, Obama ignores laws and the Constitution to implement his progressive/socialist agenda. America's first black president has morphed into America's first king. All hail King Obama, our supreme ruler. Think about this folks, King Obama has put together his royal court of an unprecedented 32 czars who only answer to him. His czars consist of people who have socialist and communist leanings, many simply do not like America. King Obama's czars, without congressional oversight, set new rules and regulations for our lives — boldly ignoring laws and the U.S. Constitution. Given Obama's unprecedented government overreaches, when we vote him out in 2012, will His Royal Obamaness surrender the Oval Office? Just kidding. Such a concern is a bit over the top. Right? Right? Meanwhile, displaying an amazing total disregard for the sanctity of freedom, guess who cheers on Obama's every unprecedented, lawless "power grab" and dis of the Constitution: the despicable liberal media. Most of the mainstream media are liberals promoting their progressive/socialist agenda while calling it journalism. A liberal black presidential candidate was their dream come true. Obama's skin color was a gift from the liberal gods — the ultimate political trump card. The Left exploits Obama's black skin color as their "Weapon of Mass Intimidation" — a coat of armor insulating him from all opposition and reasonable critique. Any supplicant daring to question or oppose His Royal Obamaness is forced to endure the liberal media's "shock and awe" battery of accusations of racism and violent intentions. 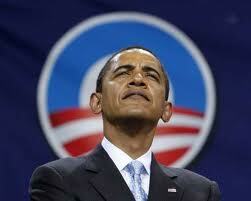 Is it unfair to say Obama governs more like our king rather than our president? You be the judge. Obamacare was ruled unconstitutional by a federal judge. King Obama basically said, "Screw that! I'm implementing it anyway." A federal ruling said King Obama's deep offshore drilling moratorium in Louisiana is illegal and ordered it lifted. Again, King Obama simply ignored the federal ruling. King Obama wants to force health workers to perform abortions whether they like it or not. The "Conscience Rule" protects health workers who refuse to participate in abortions or other medical procedures that go against their moral and religious beliefs. King Obama is working on rescinding that law. If we have learned nothing else from the passing of Obamacare against the will of 70% of the American people, we learned — legal processes be damned — whatever King Obama wants, King Obama gets. And, let us not forget that King Obama fired the CEO and took over a private sector auto company. Thus, the birth of King Obama Motors. The new Black Panther Party is guilty of voter intimidation in Philadelphia. King Obama refuses to press charges against the new Black Panthers — now get this folks, because they are black. His royal enforcer, Attorney General, Eric Holder, who is black, told the House Appropriations subcommittee that the New Black Panther voter intimidation case demeans "my people." Holder went on to explain that the suffering of African Americans seeking the right to vote in the South in the 60s far surpasses the intimidation white voters recently endured in Philadelphia. So much for any pretense of King Obama dispensing equal justice to all Americans. We're talkin' Affirmative Action justice. Exempting themselves, liberals are notorious for making rules for us supplicants. Queen Michelle Obama recently feasted on high calorie, greasy barbecued spareribs while seeking to federally mandate/regulate menus and portion sizes in schools, restaurants, etc. Bottom line, King Obama is out of control. In 2012, We The People MUST rise up with pitchforks of votes to end King Obama's tyrannous reign. America as we know and love it could be lost. Defeat is not an option. We are gathering "One Million People To Defeat Barack Obama 2012." Please join us!